August 9, 2016 - Judy Meincke has been with Wintergreen Rescue Squad for fourteen years and taken on many roles to help the squad. 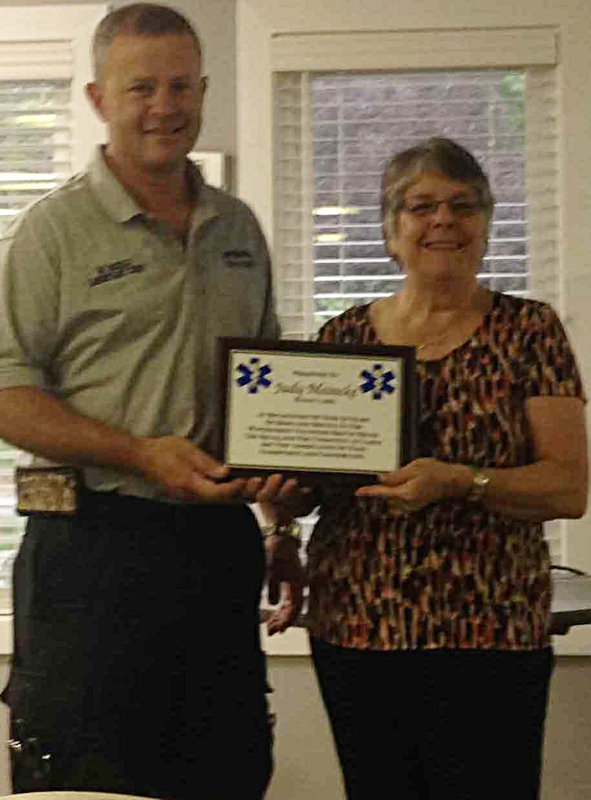 Judy has earned life membership and was an EMT/AIC for many years. Unfortunately, Judy will be moving away from the Wintergreen community to be with family and will no longer be with us. We will all miss Judy and wish her well on new adventures. Judy was presented with an award of appreciation and recognition for her service to the squad. Thank you again Judy, we will miss you!